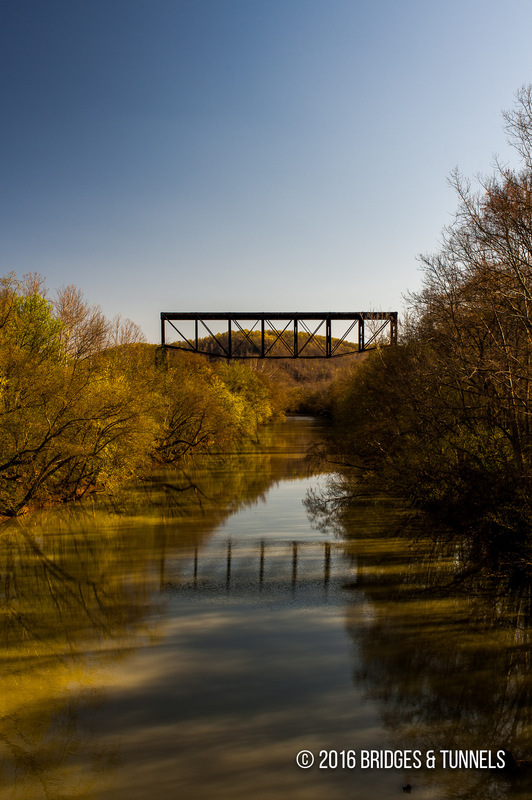 The Cincinnati Southern New River Bridge is located in Scott County, Tennessee south of Oneida, and carried the Cincinnati, New Orleans and Texas Pacific Railway (CNO&TP, Cincinnati Southern). The iron modified Fink truss crossing was constructed by T.F. 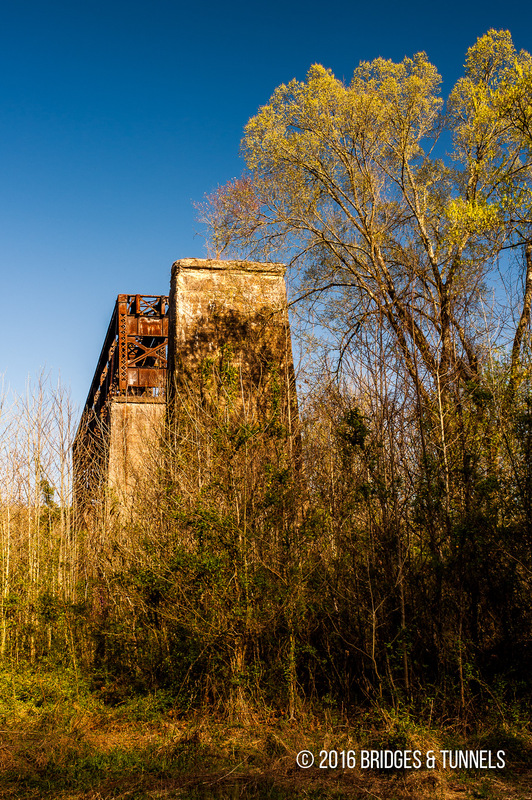 Pyott of Chattanooga in 1879, and was 930-feet long with a 730-feet iron trestle and a 200-foot main span that included four masonry piers.1 A construction camp was located in what is now the community of New River. On July 10, 1963 at 12:05 a.m., the new New River bridge was opened to traffic, and is 307 feet, 5 inches high, with a span length of 1,618 feet.2a It included 15,000 cubic yards of concrete for the piers and four million tons of steel. The trackage and approach to the New River crossing was removed but the center span was kept in place. Storey, G. Allen. “The Railroads in Scott County.” FNB Chronicle 14.4 (Summer 2003): n. pag. Web. 22 Apr. 2010. Article. “August 1963 Ties.” Southern Railfan. Southern Railway System Magazine, Aug. 1963. Web. 22 Apr. 2010. Article. 2a. “Helenwood to Robbins, Tenn.” Article. 2b. “90 Years to Daylight.” Article. “December 1961 Ties.” Southern Railfan. Southern Railway System Magazine, Dec. 1961. Web. 22 Apr. 2010. Article. 3a. “Breaking Through the Tunnel Barrier on the CNO&TP.” Article.